As the name hints, El Palmar Beach & Tennis Resort, you can come and enjoy the beach as well as a few tennis matches during your Mexican vacation. 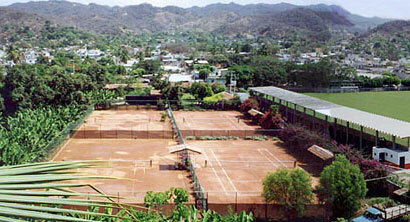 A short 20 minute drive south and we arrive at Cihuatlan where we have access to four clay courts. 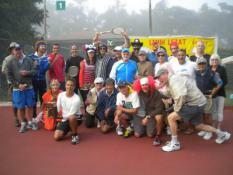 Clay courts are great for those of us with fussy knees and backs. Clay is flexible, allowing a player to slide and recover under control, instead of having to slam down onto the court, absorbing the shock in every joint in the body. Gardening along the pacific coast of Mexico is always exciting. We have spectualar and exotic plants offering flowers and fruits of many colors and textures. 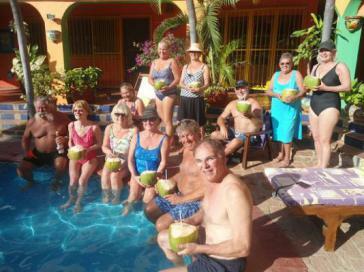 There's nothing like stepping out in our Melaque garden and picking a fresh papaya or mango for breakfast or sipping fresh coco water from a coconut. Now enjoying papayas and mangos is relatively easy, a papaya tree is small and mango trees, although large, offer fruit on low hanging branches. I'll admit it, there are tons of fundraising event along the Pacific Coast of Mexico and Melaque during the winter season. 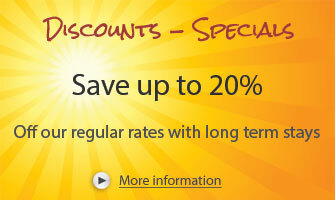 Our winter friends come down to enjoy the sun and surf, inexpensive lodging and activities and friendly local people. It's a great combination to get them in the mood for giving, volunteering at local spay and neuter clinics, cleaning up the mangroves, teaching English and giving cash at events. A couple of times each winter we like to go out for some sport fishing. The fishing is great from Melaque and it's easy to rent a boat, captian and equipement for the day. I highly recommend a day fishing trip as part of your Melaque, Mexico vacation. The day starts early, usually by 7:00 and on the ride out of the bay you'll see some interesting wildlife, this trip we were treated to the antics of some Spinner dolphins. Christmas Eve, Nochebuena, marks the final evening of the Posadas celebrations in Mexico, and usually includes a big family dinner late in the evening, some families attend a midnight mass and dinner follows! Traditional foods include Ensalada de Noche Buena, a colorful salad containing lettuce and beets, and may include apples, carrots, oranges, pineapple, jicama, pecans and pomegranate seeds as a garnish. Tamales and Posole can also be on the menu, and don't forget the Ponche Navideno a Mexican hot fruit punch. THE place to stay for tennis enthusiasts!